Not too long ago, my wife and I participated in one of Chef Katie Weinner’s pop-up restaurant events at Nata Gallery. Not too long ago, my wife and I participated in one of Chef Katie Weinner’s pop-up restaurant events at Nata Gallery. As someone who has cultivated a borderline fanaticism for all things related to good food, it was one of the most singular dining experiences of our lives—when else are you encouraged to paint with your food? 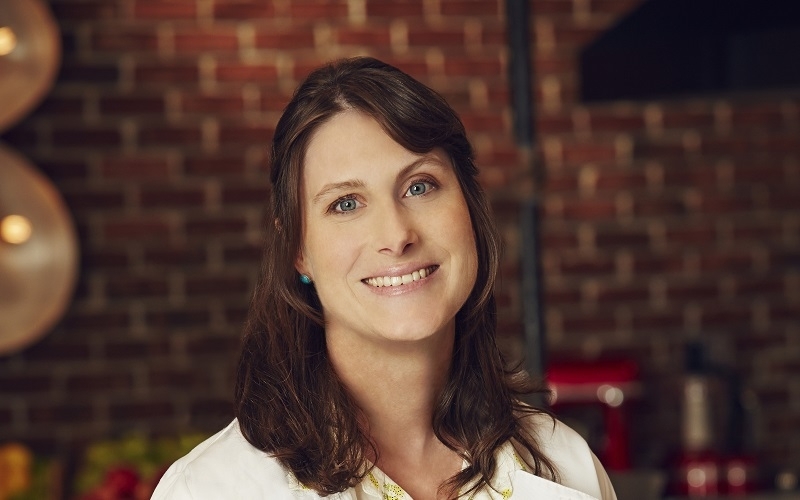 Because of Weinner’s inventive cooking style, Bravo’s reality cooking competition, Top Chef, sought her out as an applicant for the show. Since then, she’s been representing Utah’s culinary scene with professionalism and grace under pressure. Weinner was decent enough to cut a Provo fly-fishing trip short to chat with SLUG about her experience on this season of Top Chef. Despite her initial disbelief when she received the email asking her to apply for this season of Top Chef—“I thought it was spam!” Weinner says—she followed up on the message. After an arduous interview process, she got the call telling her to pack up and head to Boston. Since her run on the show, she’s had the opportunity to cook for notable chefs and celebrities from all over the country. “It’s nice to know that I’m bringing culinary attention to Salt Lake, and just showing that good people come from Salt Lake,” Weinner says. In addition to digging deep and finding the inspiration to create quality dishes under pressure, a big part of success on Top Chef is being able to navigate through the other contestants. The competitive nature of the show brings big personalities from all over the country and into the kitchen, but each season tends to have its resident dickhead. This season, that dickhead was Aaron Grissom, a street kid turned chef from Tacoma, Wash.. From early on in the series, Grissom had it in for Weinner—taking potshots at her cooking choices and demeaning her work as a culinary instructor. For folks who were rooting for our local girl, this conflict became one of the most dramatic aspects of this season. During the Revolutionary War challenge, Weinner and Grissom went head to head, and it was Weinner’s victory that ultimately sent Grissom home. “It all made sense at the end of the day on who was right and who was wrong. The battle theme and the history of that location were perfect for that moment,” Weinner says. Overall, Weinner considers her experience on Top Chef an excellent opportunity, but she doesn’t let it overshadow her own perspective about what she wants out of life. “No matter how I did on the show, I got to come back to this incredible place. I’m leaving fly fishing right now, I’m probably going skiing next week, and I don’t revolve my life around work and being famous. I just want to be a good person that loves cooking,” Weinner says. With the Top Chef experience behind her, Weinner has directed her focus back on her culinary life here in Salt Lake. “Right now, I’m planning a few trips to Florida for guest lectures. I’m back to pop-ups and private parties in December, January and February. So keep your eyes open! Right now, it’s been fun to do pop-ups and talk to the clients that supported me on Top Chef,” Weinner says. Weinner will also be teaming up with Chef Tom Call of The Grand America to run the student restaurant at the Art Institute later this winter—word on the street is that they’ll be offering a ridiculously cheap public dinner service during their tenure. Check out SLC Pop for updates on all of Chef Weinner’s future culinary events.